The email client that helps you focus. 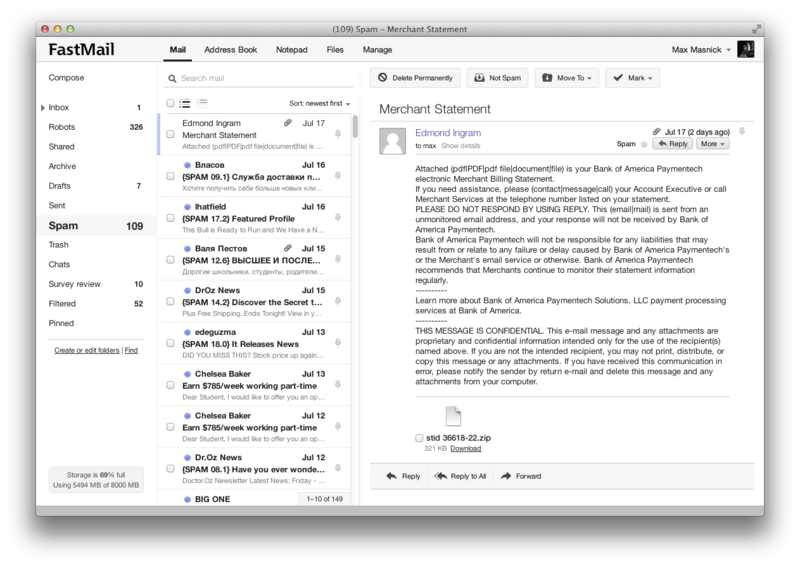 Mailspring: The open-source, extensible email app for Mac, Linux, and Windows with open tracking, link click tracking, contacts enrichment data and more. sovereign/sovereign: A set of Ansible playbooks to build and maintain your own private cloud: email, calendar, contacts, file sync, IRC bouncer, VPN, and more. sovereign - A set of Ansible playbooks to build and maintain your own private cloud: email, calendar, contacts, file sync, IRC bouncer, VPN, and more. Role gonzalo-.mailserver - Role to setup a mailserver with opensmtpd, dovecot, dkimproxy and rspamd. Swiss unlimited email hosting for all your domains under single admin. DigitalOcean droplets, Heroku apps, Wordpress blogs and everything else. Customizable spam actions, built-in webmail, aliases, regex catchalls and much more... It's FREE for small needs and almost free for everything else. Our paid plans start at $4 a month. Give your domains some email love! Take back control of your email with this easy-to-deploy mail server in a box.